Description At the end of summer, water temperatures are still high, and salinities and dissolved oxygen are low in Puget Sound. Both sea surface temperature and upwelling off the coast are elevated (PDO and Upwelling indices) and the the Fraser River flow is low. This combination makes it an interesting fall. 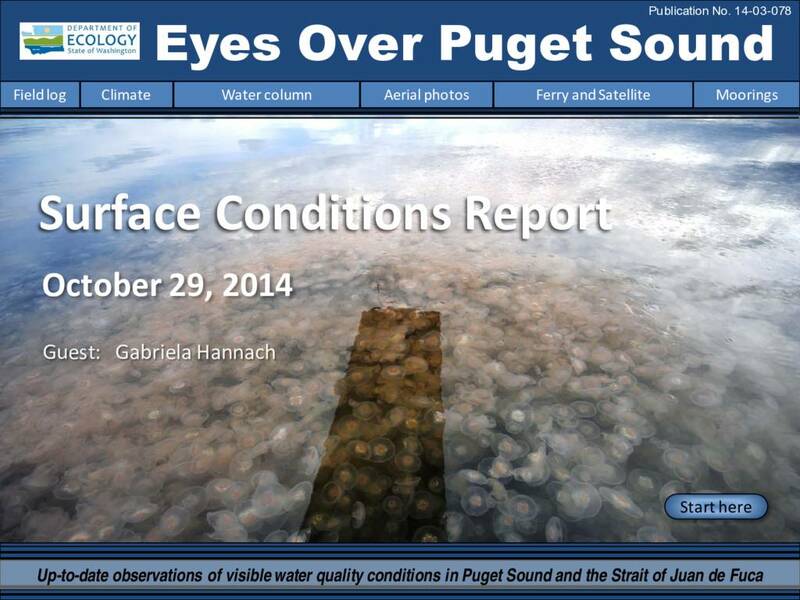 Very dense and large patches of jellyfish appear in finger inlets of South Sound. Red-brown blooms also remain strong in South Sound.